Ricoh's thermal business is global and is mainly focused on the manufacture and distribution of thermal paper and thermal transfer ribbons. Thermal paper allows printed bar codes to be used in point-of-sale food labelling applications as well as for manufacturing process control and shipping labels. Ricoh's share of the thermal paper market is very high, as it offers superior coloring capability at high speeds alongside super-fine printing for small fonts, and a highly durable finish that doesn't fade easily. The new investment will be made in order to respond to increasing market demand in Europe. For example, in 2014, Regulation (EU) 1169/2011, the main law relating to food labelling in the European Union, was amended to mandate the inclusion of additional nutritional information. Thus the amount of information required to be included on food labels has surged. In addition, the number of pre-packed products has also increased. Furthermore, demand in Eastern Europe is expected to grow and given the increase in e-commerce, the market for shipping labels is expected to increase at a rate of 10% per annum. 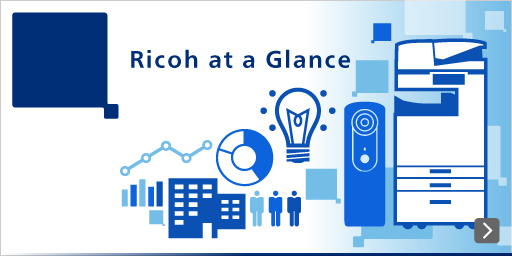 In 2013, Ricoh increased its production capacity in the USA by integrating its production operations. And in 2018, it invested in the Chinese market to meet the growth coming from e-commerce. This time, by increasing its capability in Europe, Ricoh will further strengthen its global supply network, and enhance its thermal business. © 2019 RICOH COMPANY, LTD. All rights reserved. All referenced product names are the trademarks of their respective companies.